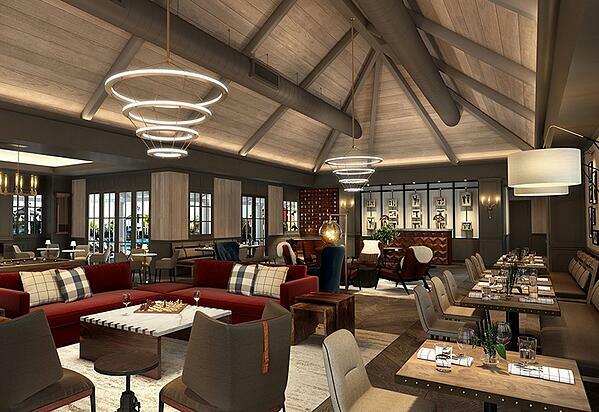 When it came to finding the right team to transform The Estate Yountville, the management team at Brookfield Thayer Lodging left nothing to chance. They’ve assembled a team of talent which includes interior designers, architects, landscape designers and craftspeople. Interior design firm, Hirsch Bedner Associates (HBA) worked together with SB Architects (for the exteriors) to spearhead this transformative renovation and build upon its legacy in the community. 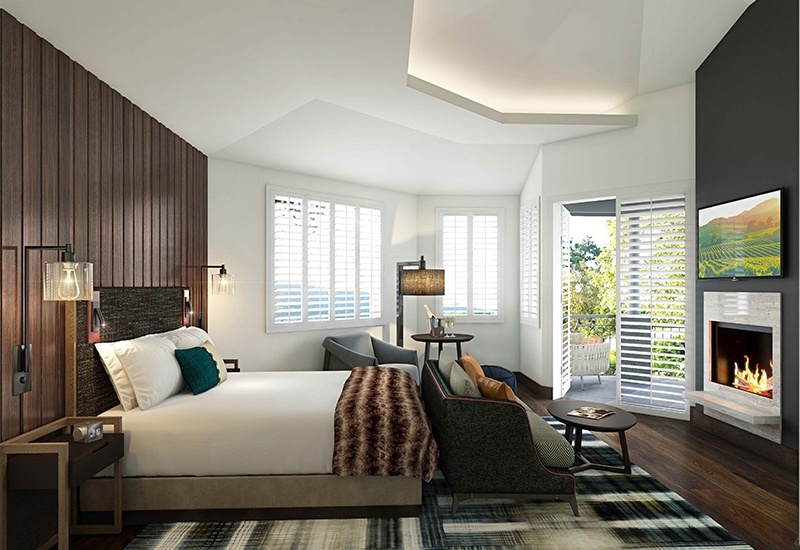 The Hotel Villagio renovations consist of an Events Center, The Pavilion, a new Villagio Hotel Lobby Building, Conference Center Renovations and a New High End Villa Retreat Building with 5 private rooms and their own private pool and spa area. 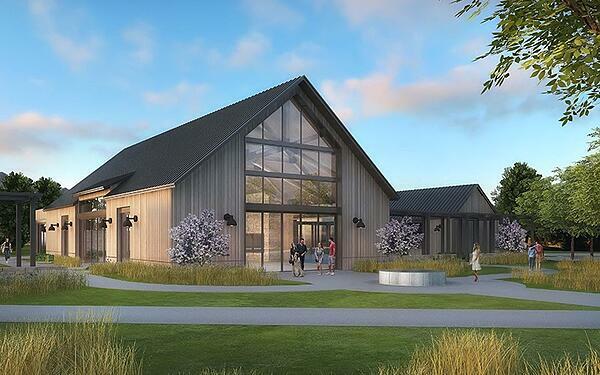 The Events Center consists of two separate structures including a 4,500sf main barn style structure of and more than 30,000sf of exterior space that is designed for large gatherings or weddings. Additionally, The Pavilion offers up to 16,000sf of terraced lawns and gardens that will also provide a nice backdrop for a range of events. Adjacent to Hotel Villagio is the Villa. The Villa provides a luxurious space for smaller groups. Five rooms adjoin a well-appointed lounge space and access a secluded pool and Jacuzzi and outdoor chef-ready kitchen. 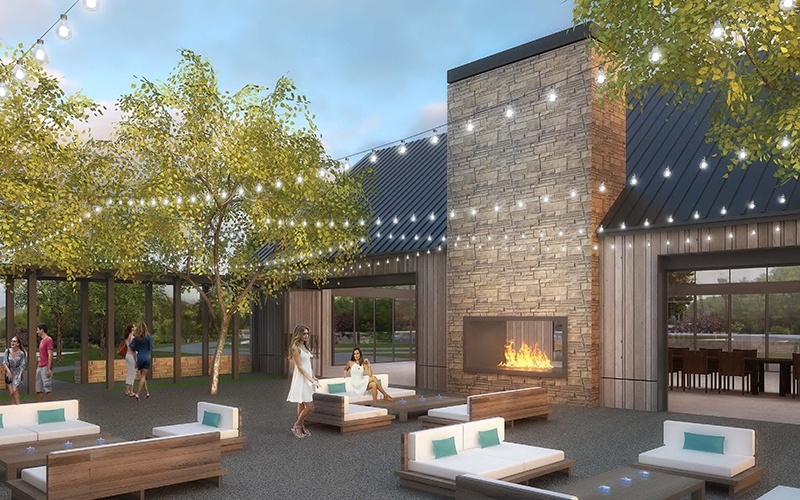 All of these amenities and buildings are accessed from the south end of the property where the main entry into Villagio is through the new Villagio Lobby Building. Reception is highlighted with a grand style bar and many lounge sitting areas. When it comes to managing multiple renovations on a high-profile property it can be challenge, but also deeply rewarding. It requires continuous communication and teamwork. In the case of the both Vintage and Villagio, its been critical that we remain hyper vigilant in identifying areas where there may be unforeseen risk. Working in an and around an existing and operational hospitality facility requires a careful balance between sequencing activities and ensuring happy patrons. With communication and teamwork as the baseline, an emphasis on planning becomes vital. In this case, planning required the ability to research, understand, and plan for the unforeseen. Without exceptional planning, delays and costs will certainly be incurred. This effort also involves selective destruction and demolition and extensive investigation to determine the true condition of the building components and how they can affect construction operations. It was and continues to be our intention to remove the “unknowns” of the project as we move through each phase. Some of the “unknowns” include getting a sense of underground slab utilities, trench drains, indication of dry-rot, and any structural concerns. Renovations of an existing and operational hospitality facility requires hyper-vigilant logistical and sequence planning. Once we work through identifying the “unknowns”, a distinct plan on how the work will be executed is developed. The location of the project provides many distinct logistical advantages. A large laydown and construction staging area was created in the parking area just North of the Inn. We set-up fencing around the buildings/areas that were under construction to provide both sound and safety barriers for Villagio employees and patrons. During this time, our team continued to work with Villagio staff to take into account all hotel activities to minimize the impacts of construction. Special considerations were made for sequencing the Lobby and Villa construction activities. In reviewing the construction documents, the best sequence was to work from the foundations up through the roof in a circular pattern around the property and the Villa would need to be handled in a similar fashion so the adjacent rooms would finish before the Villa's first guests arrive. When developing the logistical and sequencing plan, schedule plays a key role. With any project, we put together a conceptual schedule. An executive schedule was provided to give a summary of the detailed schedule which addresses the sequencing and site conditions. It is important to note that The Estate could review the executive schedule while we were still moving forward with other portions of the project and investigating the buildings. We write this post while work continues to buzz along. There are many twists and turns and projects continue to unfold, which makes for a very fun and exciting experience. Once the project is complete we’ll share the final images with you. We are sure you will be convinced to visit the incredible location that is just a short walking distance from many of the nation’s most acclaimed restaurants and wineries.